The start of a new semester is a time of transition. Usually, this transition is accompanied by high levels of motivation; you’re excited to start your new classes, meet new people, and be done sitting in a cubicle during your summer internship. Inevitably, your high levels of motivation will wane as the semester wears on. That textbook you were so gung-ho to read during the first week will now inspire feelings of utter dread when you even think about opening it. However, with some good planning at the beginning of the semester, you can mitigate this problem. Sure, you’ll lose some of that initial motivation – but that doesn’t mean you have to run out of steam completely. 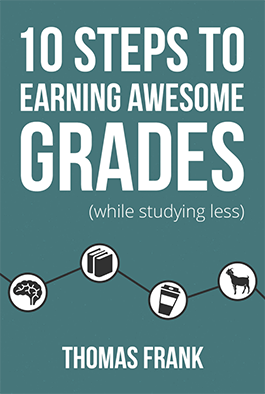 In this video, we’ll look at ways to set up good study habits in order to remain as motivated, and generally on top of things, as possible during the whole semester. We’ll also go over some initial planning hacks that can help you start the semester much more smoothly than a lot of other people do. 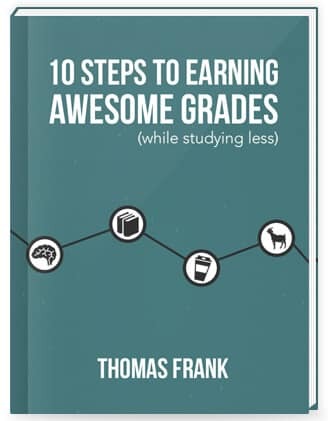 If you’re looking to make this semester your best one ever, I think you’ll find the study tips in my free, 100+ page book 10 Steps to Earning Awesome Grades (While Studying Less) to be helpful. What are some things you do to make sure your semesters start smoothly?